Bring us anything from menus and price lists to artwork and posters -- we can secure them for long-term use and enjoyment. Come visit us for those projects that require a professional look and feel to view our full selection of binding and finishing options. At clearcopy, our staff takes the time to make sure your finished product is one you will be proud to display or present. 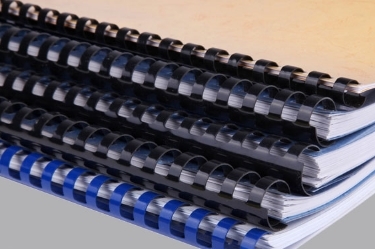 From simple saddle stitched booklets and coil bound presentations to professional perfect bound books, our staff will work with you to find the right binding for your printed material. clearcopy is your one-stop-shop for printing, copying, and faxing black and white or color documents. We provide high-quality printing, copying, and faxing at competitive prices with fast turnaround times. Trust us to take care of all your print, copy, and fax needs. Let clearcopy scan your hardcopies to disk. We can create a variety of electronic files for your needs, from jpeg to tiff to PDF and more!